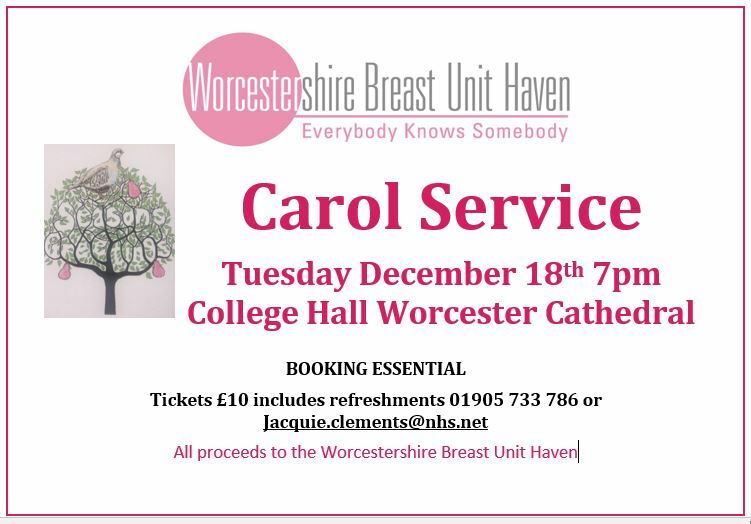 Join us for our first Christmas Carol Service, taking place on Tuesday 18th December, 7pm at College Hall, Worcester Cathedral. A festive evening to be had by all. Mince Pies and fizz to be served afterwards. All proceeds to WBUH Charity.